In much of what you decide to become skilled in, you’ll experience competitive feelings toward others who are practicing the the same skills you are. Whether you are working on becoming a better salesman, or a better javelin thrower, developing a skill often leads to being compared to other skilled individuals. If you choose not to compare yourself to others, the ones around you will. People’s desire to establish hierarchy in domains they observe is a powerful behavioral force. In order to be considered skilled in whatever domain you’ve dedicated your time to, be prepared to compete. In the face of competition, there is a tendency for people to not only try to combat their competitors’ efforts, but also to discredit them. We feel a desire to downplay the achievements of our competitors in order to make ourselves be perceived as more skilled by others. This article proposes an argument against discrediting your competitors in any fashion. Attempting to discredit others is a behavior which isn’t conducive to developing a perception of being skillful in your domain and secure with the skills you possess. Focusing your efforts on downplaying your competitors’ achievements and skills can serve to benefit them rather than yourself. It is a sign of weakness to discredit your competitors’ efforts because it does not add anything to your own skill set. 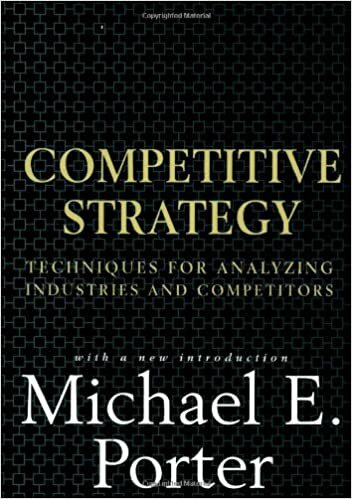 Doing so is evidence to you being distracted from building onto your own expertise, and focusing on performing against those who compete against you. Attempting to discredit your competitors serves to entice those who watch from the sidelines to be interested in your competition’s performance. In addition to diverting your own focus, those who listen will be interested in what about your competitors captured your attention. They will follow your critiques and check their validity for themselves. You will direct ears and eyeballs onto your competitors, and possibly bring them new fans. Audiences are sensitive to weakness. Attempting to win by discrediting others with your words can be interpreted as a principal sign of defeat. It shows a lack of belief in your skills being able to get the job done. People will perceive you to be unconfident. They will interpret you as taking an easier route in an attempt to win, and even though your words may be true, they will not hold the power you hope they do because they’d be coming from an obviously biased source. You place your followers in a tough spot when you make attempts to verbally discredit your competitors. Their agreement with you will sting if you go on to eat your words and lose the competition at hand. If you go on to win, the behavior which you exhibited will be returned for you to taste. Other competitors will feel validated in their attempts to discredit you, and any fans you have will be fair game for attacks from fans of your competitors. By discrediting your competition verbally, you’d cut the ribbon for a cycle of distracting, malicious behavior to commence. The desire to discredit our opponents through argument and fact stems from figuring out their weaknesses. We want to expose what we perceive to be our opponents’ weaknesses. This is a natural and competitively healthy desire. However, the way you go about exposing your opponents’ weaknesses is important to consider. As mentioned earlier, you want to veer away from doing so verbally through persuasive argumentation. Do not publicize other’s weaknesses to an audience you hope to convert to be your followers. If you are confident in your analysis of your opponent’s weakness, then you should figure out ways to expose it within the competitive boundaries you find yourself in. Turning your opponents’ weaknesses into your own strengths will not be done by attempts to discredit their skills. Rather, it will be done through strategic adjustments of your own performance. Become skilled in what your opponents are weak in, and do not try to publicize their shortcomings. Plan to expose whatever you find undesirable about your opponents in the heat of battle instead. Doing so will show confidence in your analysis of your opponents, it will maintain your focus on your own performance rather than theirs, and prevent you from seeming weak-minded to anyone who places their belief in you to be successful.